Princess pleats and an interior button closure give a clean finish to the front of the Silana. Trapunto stitching adds texture to the self-tie belt, which is left exposed at the back to add visual interest. 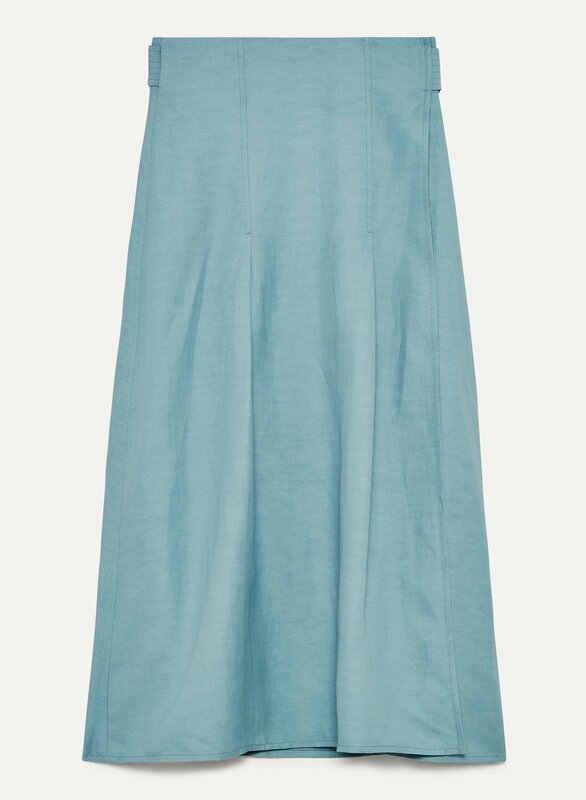 An enamel-coated ring secures this true wrap skirt at the wearer's left side.